When it comes to choosing a home – things can get quite overwhelming with the amount of things you need to keep in mind. In this article we will explain some of the most common things to keep in mind. It’s highly recommended to take a digital camera so that you can review the photos at a later stage and maybe spot something you didn’t see before. Don’t pay attention to the home’s decor, these are tasteful items which can be changed. Take photos from entering to your way out of the house, you can rather have too many pictures than too few; you don’t want to be in the situation where you go home and can’t remember what the main bedroom or kitchen looked like. Once you have managed to narrow down your search, ask the estate agent for another viewing of the houses and this time take someone with you to view the houses. They might point out some things that you were oblivious to the first time around. Take a checklist with and write down all the important things each room/house has to offer. Introduce yourself to the neighbors and ask them about the developments, safety and future plans for the neighborhood. Remember: Buying a house is a long term commitment, don’t rush into buying the first home you see. 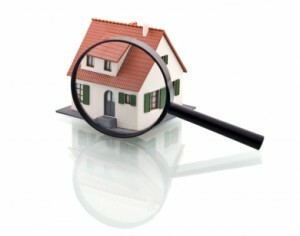 Take your time when you view a home and trust your instincts.